Cosmetics is a billion dollar industry, and honey there is a LOT of money to be made off of women who are looking to alter/maintain/enhance/create/highlight their looks. As companies jostle for our dollars, they sometimes aren’t completely honest with what they claim their products do. That’s why I always look at reviews of products before I purchase them, more often then not I find these reviews on blogs. Since I couldn’t find a review for a certain product that I was more than excited to try, I decided to review it myself. Wet n Wild makeup has been around for a few generations, and they know a thing or two about beauty. What I love about this brand is that they understand that girls like me want access to quality beauty products without having to fork over our whole paycheck. Being a massive Wet n Wild fan, when I saw that Wet n Wild had a new product that addressed less-than-lush lashes I was thrilled. 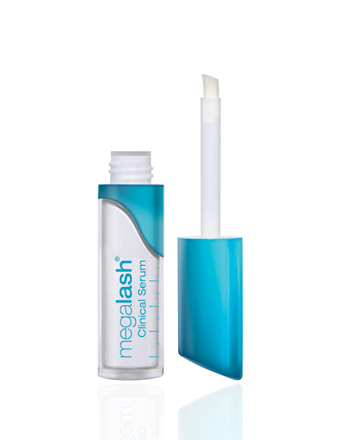 While I’ve been blessed to have a pretty nice set of eye-fringe, I wouldn’t mind if they looked thicker and fuller- something that Wet n Wild’s megalash Clinical Serum promised. I bought this on sale for $5.99 at Rite Aid, which, if this works would be a red hot steal! So for the next four weeks I’ll be applying this lash serum once in the am and once in the pm- and I’ll be giving you a weekly update on any lash progress- that way you’ll know how well this product works and if it’s really worth that bacon that you’ve been out there makin’! Oh and one more thing! If my experiment proves to be successful, then I’ll be giving away one product from Wet n Wild’s megalash line to one NYC Talon reader! Stay tuned by subscribing by email (sidebar, right) or facebook and twitter (also located on the right sidebar)! Surprisingly- Yes! I just forgot to take a before/after shot! So now I’m doing to for two weeks on my sister so you can really see the results for yourself! 🙂 Thanks for stopping by Esmeralda! I just bought the Clinical Serum and after reading several reviews, I am going to try it. I am going to apply it to my lashes only, not my lash line (like you would a liquid eyeliner). I read some reviews that said it worked to lengthen, but also thinned their eyebrows and others claiming there was lash fallout. Did any of this (or other strange side effects) happen to you?